The have / havenot competition is a weekly competition where the house guests are split up into 2 to 3 teams to compete and the losing team is punished for a week to only eat big brother slop and some times two other foods chosen by America. In addition, they must sleep in the havenot room and are usually only allowed to take cold showers. Some weeks instead of a havenot competition the HoH will choose the havenots or the first house guests to drop out of an endurance competition will become that weeks havenots. There are also some weeks where there aren’t any have nots for the week. Christine says Donny and Zach are the HAve nots.. I’m sorry.. that’s what I’m doing.. there you go.. Her reasoning is they are the two people that have done it the least..
Brittany keeps saying how they can make so many different things with the ingredients, except for the tripe. When they find out it’s cow stomach everyone groans. Summer time in the Big Brother house is usually hot both inside and outside where the house guests enjoy the California sun and heat, however, this seasons cast is are going to need their winter jackets if they expect to survive the havenot’s room! 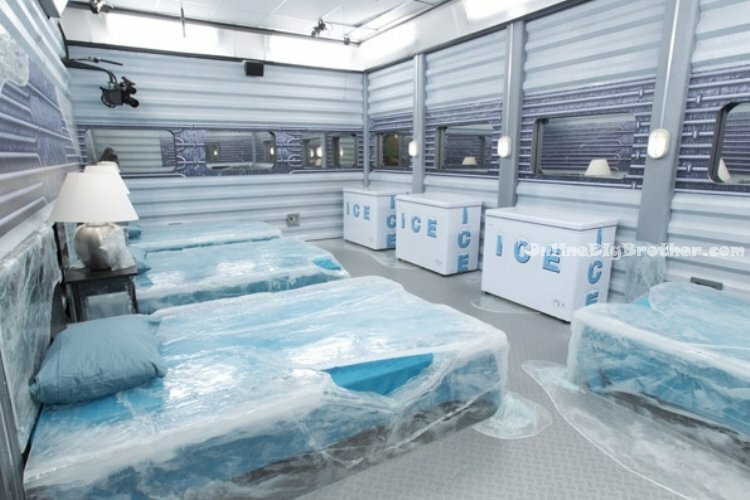 This season is no different in making the havenot room torture for the house guests but I think its going to take an even bigger toll on the havenots each week. The new havenot room is named the “ICE BOX” and it definitely looks like one. Big Brother Canada 2 – HaveNot Competition RESULTS! Adel says My d**k shrivelled up and went in my b*tt! 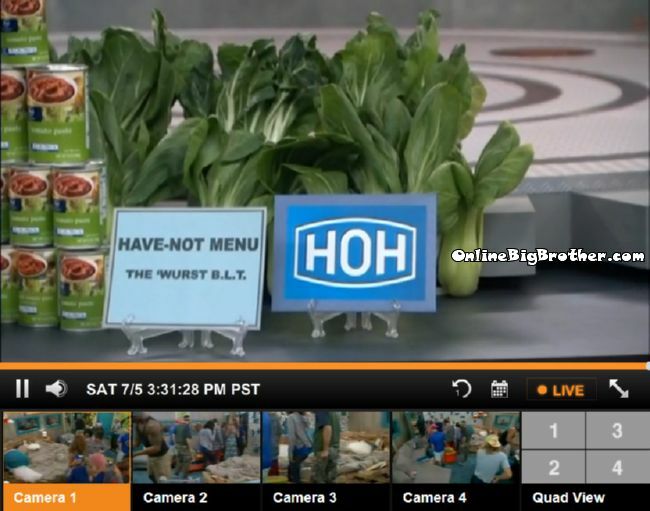 3pm – 5:30pm Big Brother blocked the live feeds for the house guests to compete in the Have / Havenot competition! 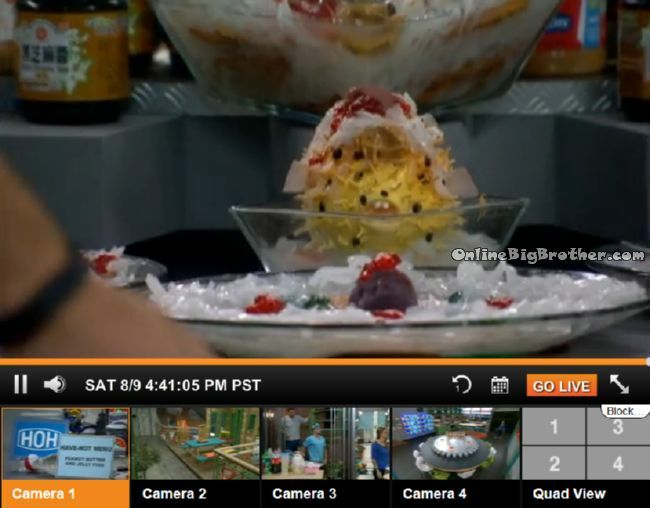 When the live feeds return – We learn that Heather, Neda, Rachelle and Arlie LOST the competition. Either Jon & Adel didn’t throw the competition or failed at being able to throw it. Do you think Rachelle will slip up again or purposefully eat candy again and punish the whole house? In the bedroom – Neda says that was the greatest comeback ever! Rachelle says I can’t believe I am on slop again! Neda and Rachelle go over to Jon’s bed and start punching it like a punching bag. They scream as they punch it. Sabrina says that is going on the episode for sure! In the bathroom – Adel says think of the positive! How much did you lose on slop last time Heather? Heather says 10 pounds. She says she doesn’t trust JOn one bit. She says he’s picking the other side over their side. Sarah wants Kenny in the house she says it’s bad for them to get rig of Kenny right now because he trust them. She’s asking him for a favore to flip the side and keep Kenny in the game. She knows he runs the other side. Big Brother Canada 2 – Have / HaveNot Competition RESULTS! 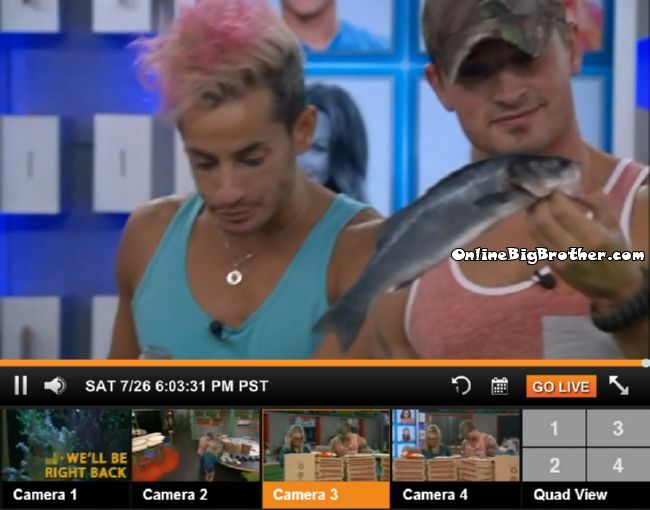 1:30pm – 4:10pm Big Brother blocks the live feeds for the have / havenot competition. When the live feeds return, they are only on for a short 30 seconds or so with all of the house guests out in the hot tub room. All the girls are dresses in dresses and the guys are dressed up with dress pants, shirts and vests. They yell out congratulations! Rachelle is holding a bunch of helium balloons on strings. They say that was awesome, that was cool. Andrew jokes now we get charged a $200 layover fine. Kenny says yeah we all sign our name on it.. They start to head out of the hot tub room and big brother cuts the feeds again..
4:50pm The live feeds come back .. Adel and Jon are in the havenot room talking. Adel says I was just in here! Jon says yeah at least I got a week off. Jon says these beds aren’t so bad you know what I mean. 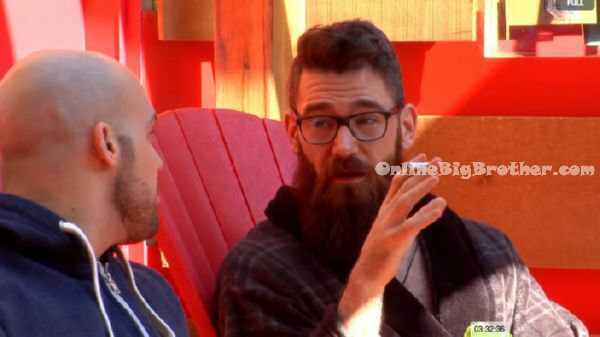 2:50pm The Big Brother Canada live feeds were blocked on all cams from 1:50pm – 2:50pm. When the live feeds return Heather is in the HOH room talking to Ika. Heather says if you make a big move its smart and you get someone strong out .. but the friends of that person would be coming after you next week. IKa agrees. Heather says so I think its smart to stick with Adel and Paul. In the bathroom – Neda is talking to Jon. He asks her if she will clean his armpit. She says we could use women’s pads because we don’t have anything else. Jon says Um, well as long as they’re clean! Neda cleans his pits. Jon comments on how it was good that he didn’t fall in the competition because it really would have messed up his arm. They head down stairs. Jon yells “I want to know if I can eat or not? !” Neda says it will probably be tomorrow because thats when it started for us.